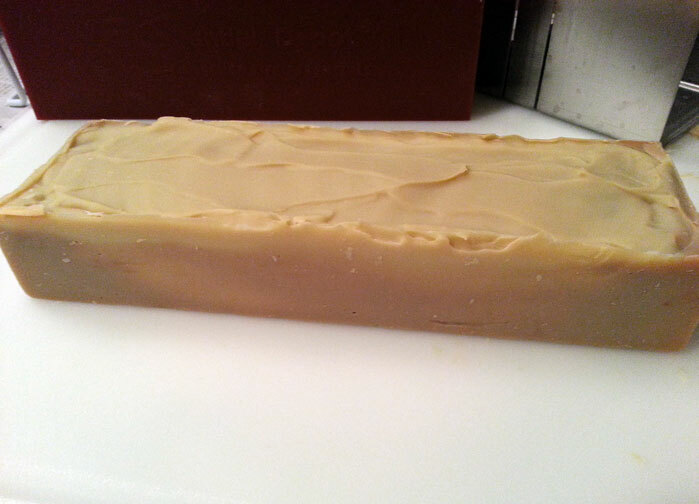 Currently on the cure rack is a batch of almond biscotti cocoa soap. I made this CP soap three weeks ago hoping that it will be ready it time for Christmas gifting to family and friends. Usually, I will wait until the last-minute to shop for presents but soapmaking forces you to plan 4 – 6 weeks ahead of time. I also had a chance to break in my shiny new silicone soap mold (in the background). The soap uses blend of coconut oil, olive oil and shea butter. This was supposed to be a neutral cream-colored soap but at the last-minute, I threw in a bit of cocoa powder for an interesting contrast. I added a medium amount of fragrance per the supplier’s recommendations. The aroma was quite strong initially but now has mellowed to a pleasant almond cookie-like scent. I am always tempted to sniff a bar when I walk past the curing shelf. I expected fragrance to discolor the soap dark tan but was happy that the soap stayed a nice cream color. Waiting for CP soap is cure is about exciting as watching water evaporate so to amuse myself, I have tested several soap batches while they cure. I have monitored pH, weight loss, hardness, scent and appearance. I realize not all soap makers do this much testing but as a person with a heavy science/math background, I like experiments and crunching numbers. I’ll discuss in detail my test results in a future post. In just a couple of weeks, this batch will be ready to use! 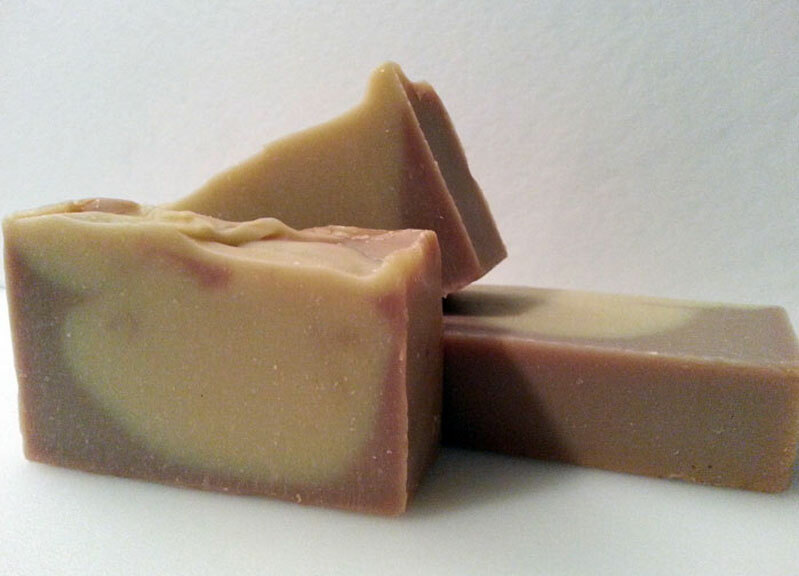 This entry was posted in Soapmaking and tagged Almond biscotti cocoa soap, Ecoviolet soap, handmade soap, soap, Soap Testing, soapmaking by ecovioletsoap. Bookmark the permalink. I bet this soap smells amazing!